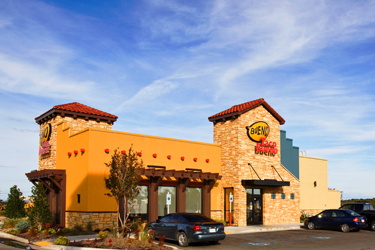 Taco Bueno Restaurants LP is expanding its franchise program, opening up specific areas in the Southern, Midwest, and Central Southwest regions to select franchise partners. The chain recently unveiled a series of innovative new restaurant designs, opening to large crowds and the accolades of fans affectionately known as Buenoheads, new and old. This success has also been augmented with the implementation of a new site selection model developed by Buxton, a Fort Worth–based consumer analytics firm. The two most recent openings of the latest prototype are located in the Tulsa area. "We are pleased to offer the markets of Houston, College Station, Memphis, Midland/Odessa, Nashville, Omaha, Shreveport, and Topeka for development,” says Pete Belcher, vice president of franchising. “Our franchisees there will benefit from these recent upgrades, which strongly deliver on our brand positioning of fast-casual quality at fast food price and convenience. They will also have access to data from a new site selection model representing the latest in technology to evaluate potential new trade areas." The new look features a stylish and comfortable fast-casual atmosphere with distinctive Southwestern design elements. Guests will enjoy stone and wrought-iron accents and comfortable seating in addition to panoramic menus, table delivery service, and freshly made options from Taco Bueno’s complimentary salsa bar. Guests can also observe Taco Bueno’s unique scratch preparation through a specially designed window into the kitchen. Flame grilling of fajita steak and marinated all-white meat chicken breast is easily visible as well as scratch preparation of refried beans, guacamole, and other signature items. Taco Bueno is a member of the U.S. Small Business Association Franchise Registry, and launched www.tacobuenofranchise.com in support of the new franchise opportunities. The site includes an informative video on the new prototype, video testimonials from current franchisees, a list of available expansion markets, information about requirements to open a restaurant, and answers to frequently asked questions.